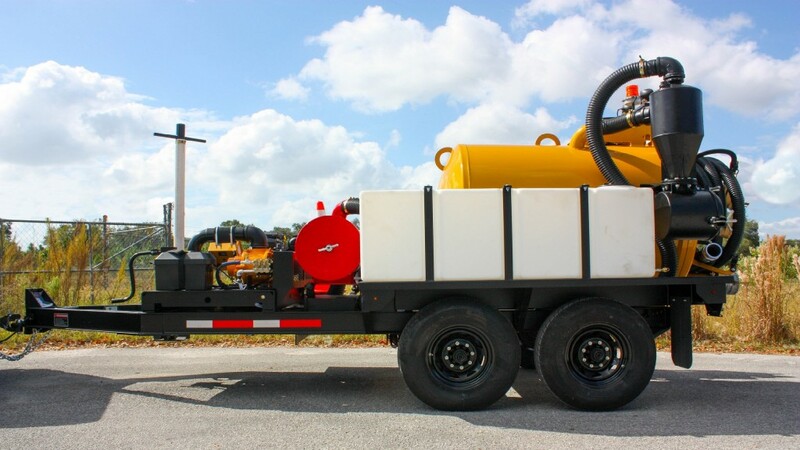 Vac-Tron Equipment new line of vacuum excavation equipment are the CV GT models and the CV SGT High CFM models. CV GT models: Powered by 27-hp Kohler EFI gas engine, 580 cfm @ 15 Hg, wet/dry filtration with cyclonic separation, 500- or 800-gallon debris tank, 7 series claw door, hydraulic rear door with auto engage safety latch, 200- to 300-gallon water capacities, 3,500 psi @ 4 gpm, water knife and clean-up wand, 30-foot x 3-inch vacuum hose. CV SGT High CFM models: Powered by a 37-hp Kohler gas engine, 1,000 cfm @ 15 Hg, wet/dry filtration with cyclonic separation, 500- or 800-gallon debris tank, 7 series claw door, hydraulic rear door with auto engage safety latch, 200- to 300-gallon water capacities, 3,500 psi @ 4 gpm, water knife and clean-up wand, 30-foot x 4-inch vacuum hose. Optional reverse pressure is also available.